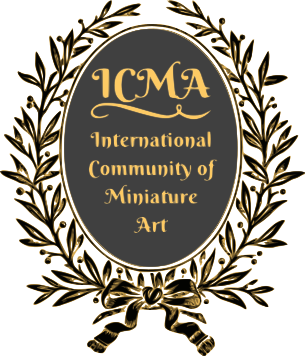 I founded ICMA as a worldwide platform for providing promotion and support of Miniature Art and I hope that this will encourage many artists to join this new community. My name is Marion Winter, I am the editor. I was born in Dresden, Germany, and am currently living on the Gold Coast in Australia. I have been painting miniatures since more than 20 years. After a successful start by receiving a “Highly Commended“ in my first exhibition, I felt very motivated to carry on. 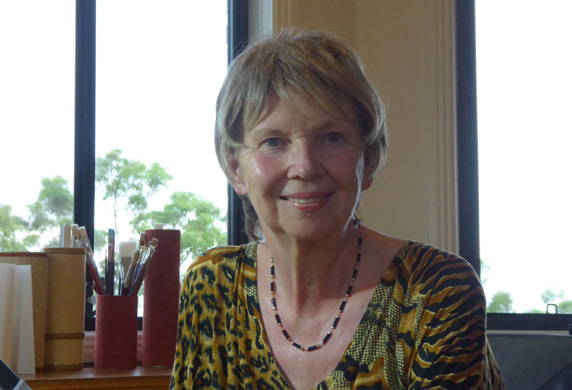 Shortly after I joined the “ASMA – Australian Society of Miniature Art, Qld. Inc.“. I served as Secretary, President and Exhibition Manager for several years. This included organizing touring exhibitions containing 200 Australian Miniatures, which were sent to several galleries in Germany. 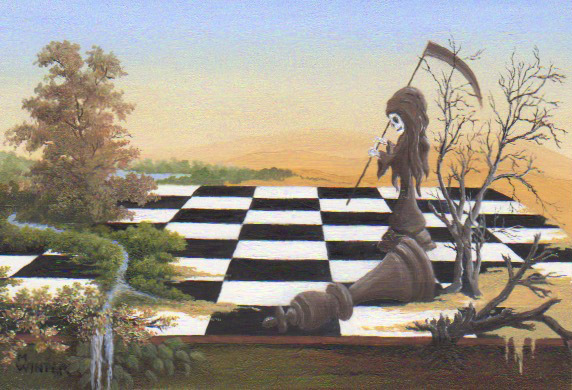 I paint in a traditional realistic style, mostly landscapes in oil, but also greatly enjoy escaping into the world of Surrealism. As a member of many miniature art societies in the UK and US, I appreciate of being able to send small parcels containing my work to Miniature Art Society exhibitions worldwide as well as to regional galleries. My very supportive husband Manfred and I are sponsoring international Miniature Art awards and give financial assistance to young students on the Gold Coast in Australia. A very special “Thank You” goes to Roger and Carmela Arturi Phillips for their excellent biography on Edward Dyas, accompanied by some of his unique miniatures which are in their collections. So far – too little was known about this highly talented Australian artist and miniaturist. Furthermore I thank Roger and Carmela for the outstanding contributions to this website with “The Origins of the Portrait Miniature” and “Photographing Miniature Paintings”. Thanks to their photographic knowledge and equipment, the complete exhibitions of the RMS and Hilliard can be admired on the websites of these Societies for 1 year at a time. Join Now For More Information About Miniature Art! We look forward to you joining and expressing your support and interest in giving miniature art a lift for a glorious future. We would love your feedback! With worldwide connections and friends, ICMA will continue to be a great success. ICMA HAS BEEN CREATED FOR ALL ENTHUSIASTS OF MINIATURE ART. Copyright © International Community of Miniature Art 2017. All Rights Reserved.